Chancellor of Maldives Islamic University, Dr. Mohamed Shaheem Ali Saeed has been appointed as incumbent President Abdulla Yameen Abdul Gayoom’s running mate as he competes for re-election. The decision has been confirmed by ruling Progressive Party of Maldives (PPM). Leader of PPM’s parliamentary group, Vilimale’ MP Ahmed Nihan Hussain Manik reported to “Sun” last Saturday night that the decision was made by Yameen himself, and that he has now shared his decision with PPM’s Council. Dr. Shaheem had served as the first Minister of Islamic Affairs of Yameen’s administration, but resigned after his political party at the time, Adhaalath Party walked out on the government coalition and aligned itself with the opposition. He has been serving as Chancellor of Maldives Islamic University since then. Dr. Shaheem, 41, had also served as State Minister for Islamic Affairs during former President Mohamed Nasheed’s administration and as Minister of Islamic Affairs during former President Dr. Mohamed Waheed Hassan Manik’s administration. 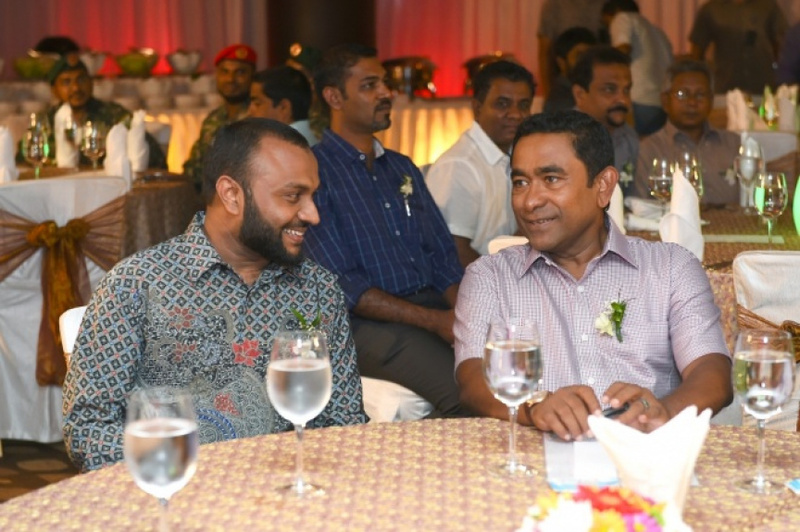 Dr. Shaheem, who knows the Holy Quran by heart and has a PhD is one of the country’s leading Islamic scholars.